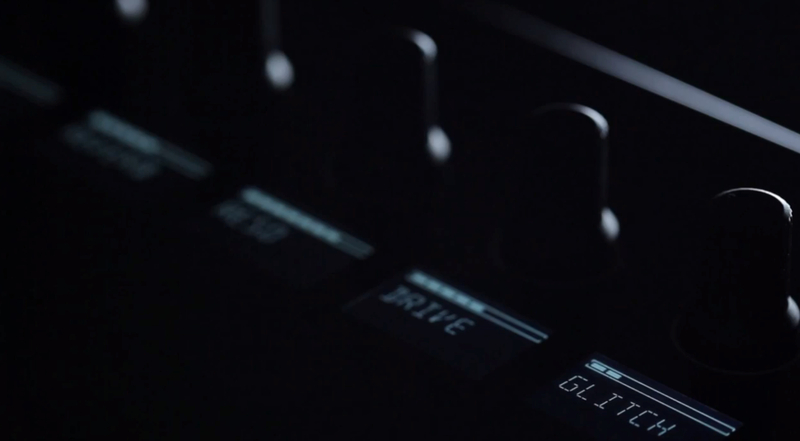 Native Instruments today releases a teaser video which it says is “A glimpse of the future” of Komplete, the production suite that includes Reaktor, Kontakt, and various synths and the like. That video clearly shows some kind of hardware. Now, the degree to which I can speculate about an unreleased product is inversely proportional to the amount I know about such a product. A browser interface (Browse, Instance, Back, directional keys, Preset increment-decrement buttons, and Enter, plus an encoder). Knobs/encoders with displays with amounts (Reverb, Reso, Drive, Glitch). Two tall things with a big, tall LED strip in between and two things on top. Native Instruments: The Future of Sound (logo). So – it’s obviously a Eurorack module. Or an analog monosynth. Joke.